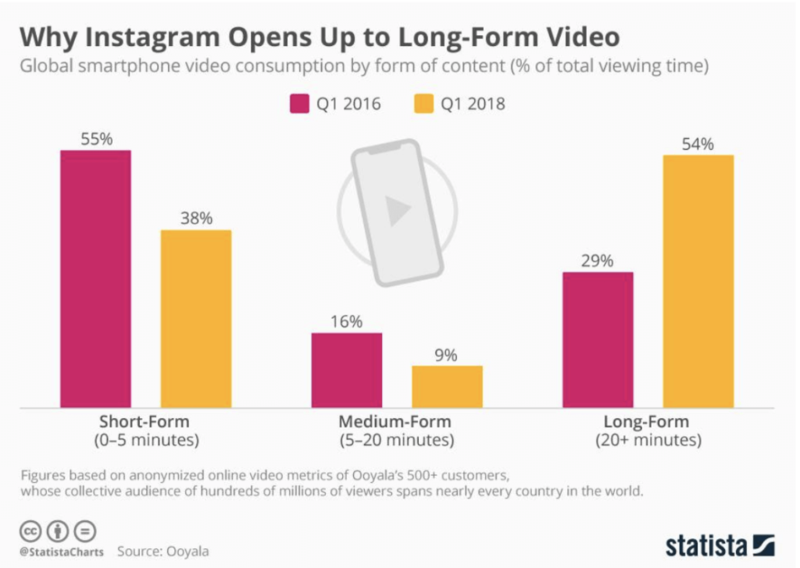 In the three years since Instagram introduced longer video formats, there has been an absolute explosion in its usage. According to some estimates, nearly 40% of the more than one billion users who come to Instagram each month use Stories to create videos almost every single day. The engagement on sponsored videos too is noted to be three times higher than what is observed on sponsored photos. Knowing how video marketing works on Instagram is thus absolutely critical to any business that is interested in social media marketing. Before you begin producing videos for your Instagram audience, it is important to understand user behavior and more specifically, the trends in your industry. A good place to start would be to benchmark your competitors and to look at the various factors that contribute to higher engagement. Do Stories posted in the mornings garner more comments and likes than those posted in the evenings? Do videos with a presenter get more eyeballs than those posted without one? What kind of content are your competitors producing? It is also worthwhile to look into the behavioral patterns of the average Instagram user. Studies show that Mondays and Thursdays are among the best days to post on Instagram. Also, off-work hours (lunch breaks, for instance) see higher engagement than peak working hours. Capture as much valuable information as you can regarding the kind of content you must produce, the times to publish, and the kind of audience you must target before you proceed to the next step. The next step is to establish a clear objective for each of your videos. Do you want to create awareness? Or, do you want engagement? By focusing on one objective at a time, it is easy to build a marketing plan that is better geared towards success. Your objectives should also be based on other critical factors like the message you want to communicate, your distribution strategy, and your marketing budget. Let us take the example of a sports shoe brand like Nike or Adidas. The long-term marketing objective of such a business is to create brand awareness. Users on a platform like Instagram demand unique and engaging content and so it is necessary to do more than just uploading your brand’s video ads. 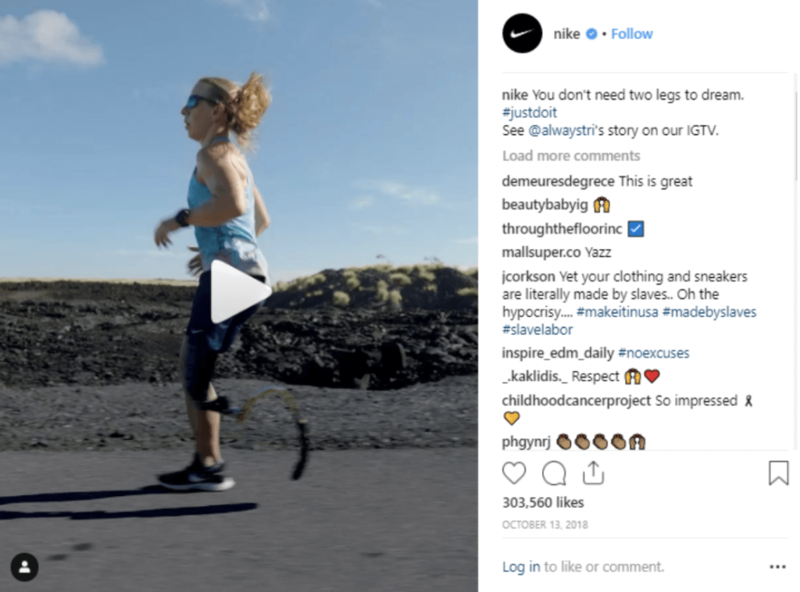 So, at a granular level, a brand like Nike creates visual stories that communicate its brand values while ensuring unique content. Take a look at this screen grab of a video that was recently posted on the company’s Instagram timeline. The video communicates perseverance and the ‘just do it’ attitude that aligns with the Nike brand. This way, Nike continues to build unique content while creating brand awareness at the same time. 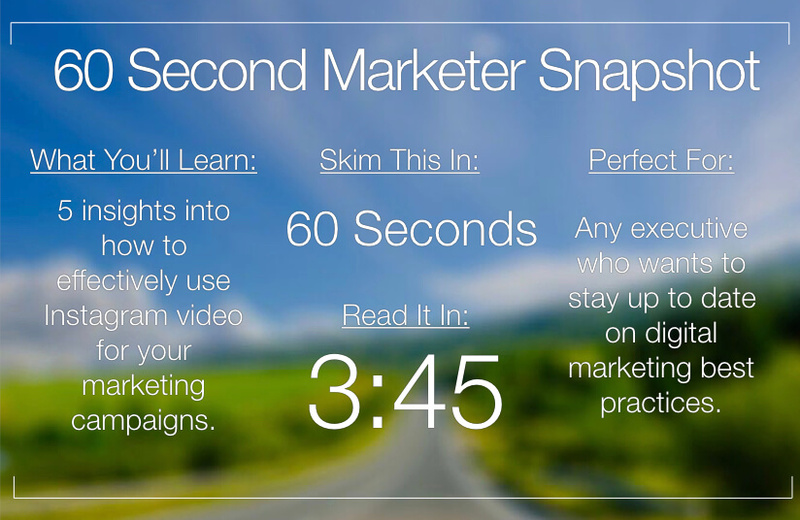 This is by far the most critical step in your Instagram video marketing process. 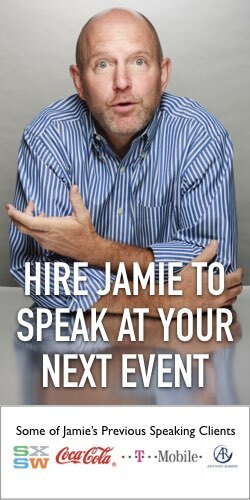 This is also perhaps the most expensive part of your strategy since a poorly produced video may fail to deliver the results that you were hoping for. As a general rule, your Instagram video must do one of the following: Entertain, Inspire or Educate. Videos with high entertainment quotient thrive on the viral nature of the content to reach new users. 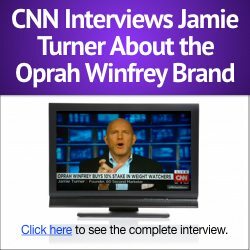 Inspiring and educating videos, on the other hand, rely on the viewer’s emotions to maximize reach and conversions. The strategy you pick depends on your industry as well as the distribution strategy. Businesses with a sizeable advertising budget may look at creating videos focused on ‘entertainment’ since your ads can help build traction and set the ball rolling on virality. Educational videos that talk about your product or industry are better suited for existing followers who have been adequately nurtured. The third step in the Instagram video marketing strategy is distribution. There are three strategies that you may deploy on Instagram – Stories are by far the most popular means to reach out to your audience. It is recommended that you choose this strategy if and only if you have a consistent posting schedule. Failing this, Stories do not deliver the necessary ROI. 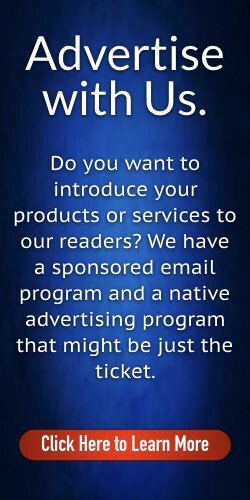 You may also reach out to your followers organically or through targeted ads. As pointed out earlier in this article, Instagram ads work great with videos that are high on entertainment quotient. Explainer videos or those that talk about your product or industry see better engagement among existing followers. The final step in any marketing campaign is to analyze your performance and calculate your ROI. Regardless of how data-driven your campaigns are, it is very hard to get your execution right from the very beginning. You may start by analyzing key metrics like user engagement, video views, and conversions. You may also benchmark your campaign performance against the competition. For a sustainable Instagram video marketing strategy, it is worth measuring metrics like the followers you have gained, the long-term revenue impact from the campaign, and also the leads acquired directly through your videos. Once you have gained significant insights into your campaign performance, you may tweak your strategy for all your future campaigns. Now over to you. Does your organization invest in video marketing on Instagram? Share your experiences in the comments. About the Author: Anand Srinivasan is the founder of Hubbion, a suite of free business apps and resources. The Hubbion Email Finder tool helps marketers find the email address of any prospect or client they want to reach out to.